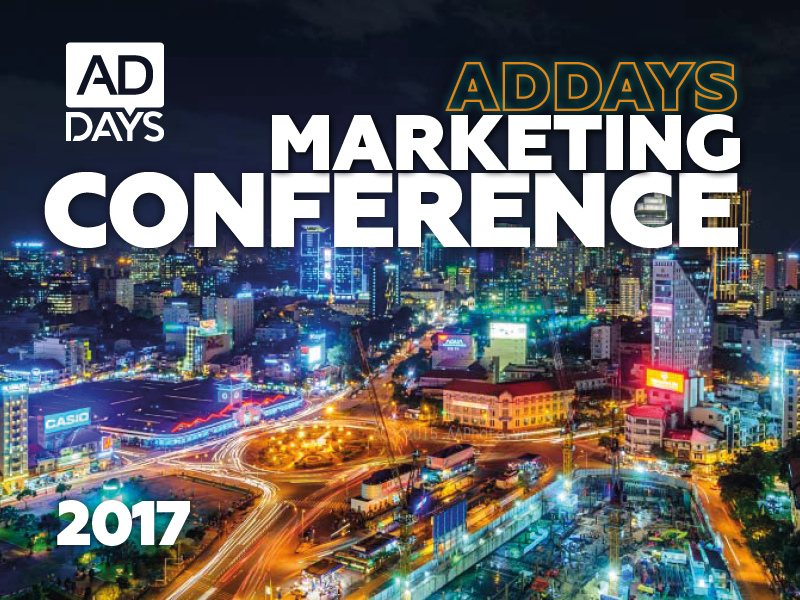 As a gold sponsor for the AdDays Conference we’re excited to invite you to the leading Digital Marketing conference of 2017. It will take place in Vietnam, Ho Chi Minh City, this August 19-20. What’s so special about this conference that makes it worth visiting? Firstly, there will be two days of hot industry insights from the top representatives in digital marketing industry who will share their experience, innovative technology tips/tricks, and forward-looking ideas. Also, we’re proud to announce that our Head of Sales Pham Thanh Trung will join the list of ADdays brilliant speakers, and will share our vision and predictions for Digital Advertising and Marketing development. Please feel free to stop by the Adnow booth. We’d be thrilled to hear your ideas and share our thoughts. For the detailed information on exhibiting, sponsoring, or attending AdDays Conference please visit the official site. We can’t wait to catch up with you at ADdays! See you there!